Just finished my previously mentioned presentation on Icelandic energy data. Some 250-300 people showed up – mostly to listen to John Perkins obviously. Interesting audience to say the least, but a lot of fun! As DataMarket‘s Money:Tech gig (see previous entry) approaches, we’re starting to see all sorts of interesting data coming together to form our “DataMarket on the Icelandic Economy”. The numbers are millions ISK. Note that these are only deposits in Icelandic banks and their immediate branch offices, not the subsidiaries of Icelandic banks registered elsewhere. It therefore only includes Icesave (UK and Netherlands) and a minority of Kaupthing Edge’s operations (Finland, Norway, Germany and Austria). See here. We’ve marked the month Icesave is opened (UK branch). Another interesting breaking point in the graph is in early 2008. Guess what? Icesave Netherlands was started in May 2008. 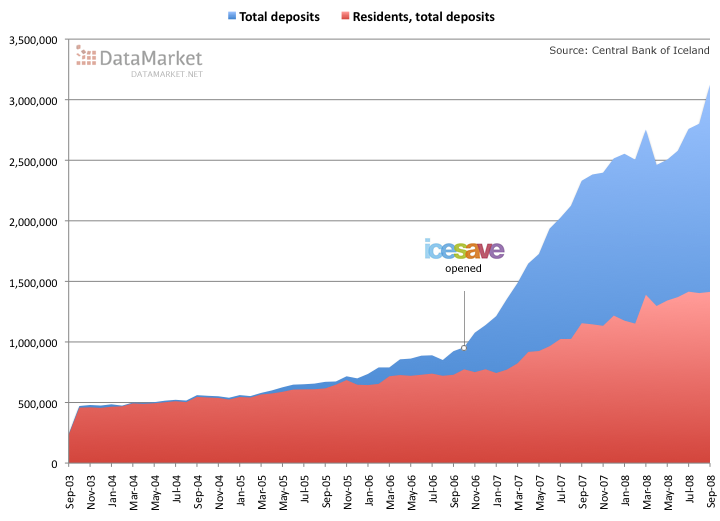 So, just before the crash – foreign depositors held more than half of “Icelandic” deposits (1,710 billion ISK out of a total of 3,123 billion)! In our upcoming tool, users will be able to view and correlate a wealth of Icelandic economy time series and mark them with events and news headlines interactively. It will be a pretty powerful tool! Ever since the banking crisis struck Iceland a few weeks ago, I’ve been running out and about to advocate for innovation as the way to rebuild the economy. Með því að opna kynninguna á SlideShare er hægt að skoða hana “full screen”. P.P.S. 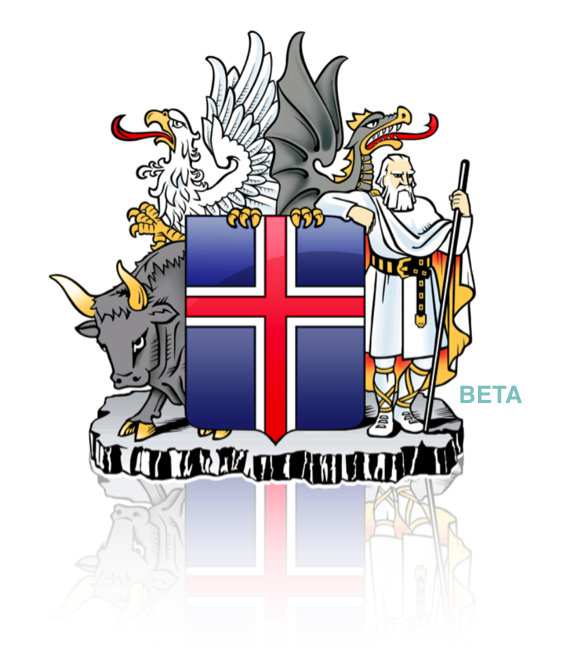 Egill Harðar “two-dot-o-ified” the Icelandic crest for my presentation – thanks!